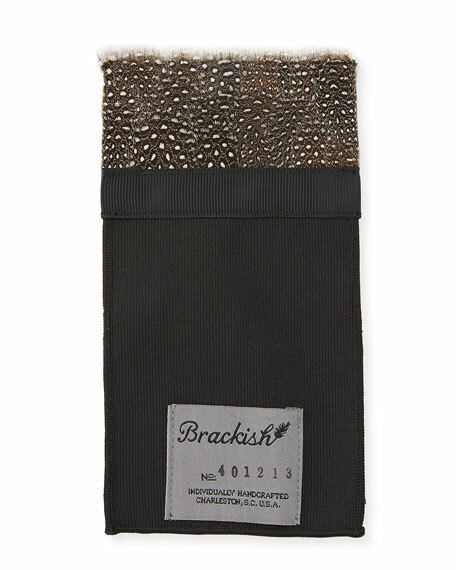 Brackish Bowties pocket square with guinea fowl feather trim. Woven section tucks into pocket. "Archibald" is made in USA.